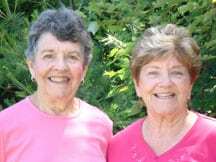 Sisters, Patricia Smith and Mary Jane Rodecki conserved 122 acres of family land and created the Cummings Otter River Conservation Area, by selling the land to the City of Gardner, in a project facilitated by NCLT and funded with state and federal grants. Some landowners believe that conservation is only for those who can afford to donate their land. But this is not true. NCLT has worked with many landowners who have sold their land or a conservation restriction on their land, for appraised value. In these cases, NCLT has accessed state and federal grant funds, as well as municipal and private funding to pay the landowners for conserving their land. 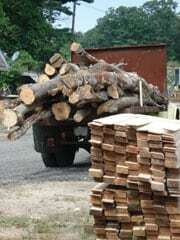 Please contact us if you would like to conserve your land. 1. What is a Conservation Restriction? 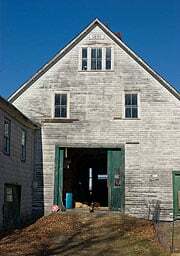 The Jarvenpaa family, with NCLT and the Town of Westminster, conserved the 426-acre Whitmanville Farm. The conservation restrictions were purchased with state, federal and town funds. There are many government programs to help you keep your land open and to reduce the cost of managing your land. Please contact us if you need help with any of these programs. What if I own forest land? What if I own farmland? Maple Heights Farm in Westminster was conserved with funding from the state APR program and town funds in a project facilitated by NCLT. What about taxes on my land? The Massachusetts Chapter 61 Program can help make your land affordable to own. This law was reformed in 2007, to make it easier for landowners and towns to use. Tax rates and requirements vary according to the Chapter the land is enrolled in: Ch. 61, 61A or 61B. A good explanation of the law can be found here. Chapter 61 is for forest land — The landowner must have at least 10 acres of land and a Forest Stewardship Plan or a Chapter 61 plan. Chapter 61A is for farmland. — The landowner must have at least 5 acres of land and generate some income from the farm. Chapter 61B is for recreational land. — The landowner must have at least 5 acres of land.